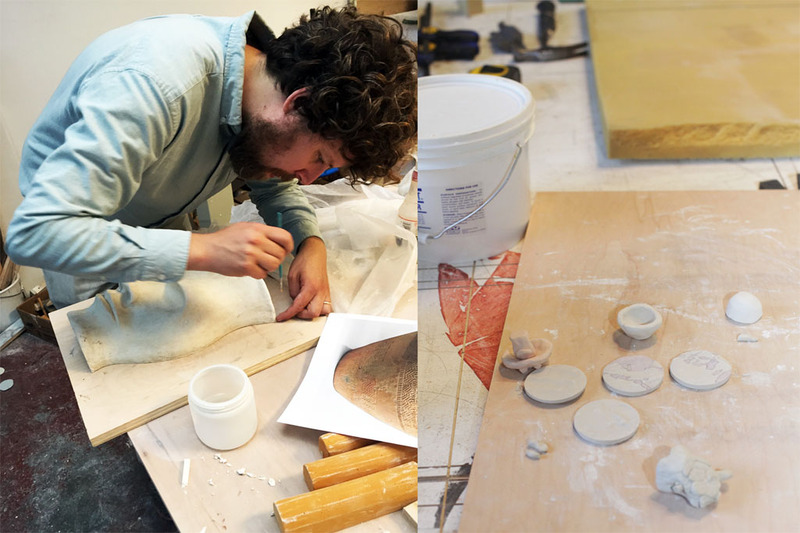 Ry Rocklen, a studio visit and interview by Fiammetta De Michele. In the 2012 Made in LA exhibition, there was an artwork by Ry Rocklen called Breath Deep. It consisted of a tree whose branches were made from glistering VHS tape. The black threads of tape shimmered in the light. These individual threads looked frail reminding us of the forgotten or lost time. The tree carried the soul of an abandoned and disused system. Like Proust’s Madeleine, it evoked memories and the past. I remembered the closet full of cassettes that i used to have when i was a child. I also remember the dust on it and the weight of them. I remembered taking them apart to look at it and playing with it. Ry Rocklen makes ready-mades. He liberates everyday life’s objects from their original function, and transmutes them into an everlasting work of art. 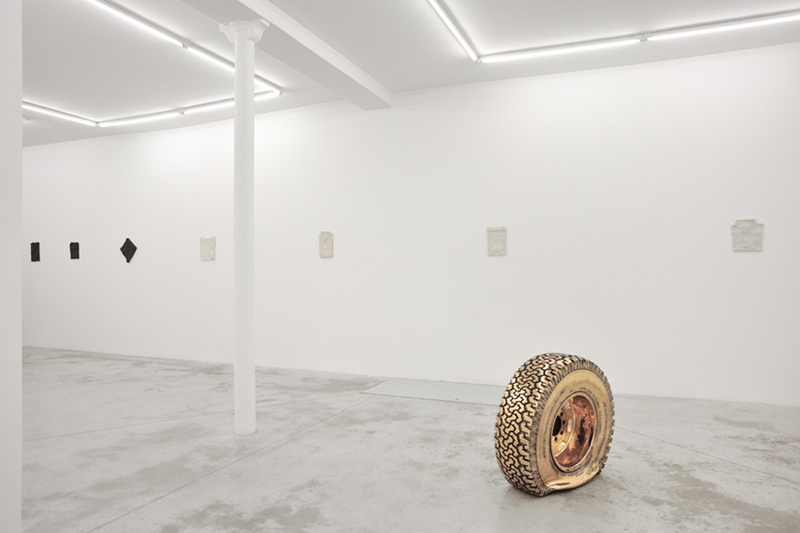 Ry Rocklen, Untitled, ( Hammer Flat) installed at Praz Delavallade gallery in Paris. A flat golden tire, a porcelain slice of pizza, a basketball of tiny mosaic; these objects are frozen in time through the use of various delicate materials. They are composed from miscellaneous contemporary American archeology. 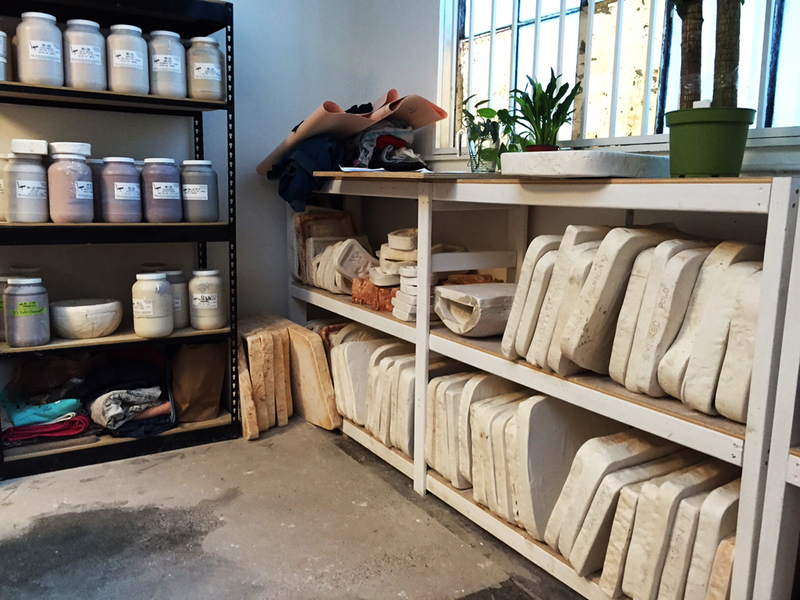 His studio is away from the chaos of Hollywood. He shares the space with his sweetheart Carolyn Pennypacker Riggs recording studio (the singer in Bouquet). There is always a mellow pop electronic music flowing through in that space. There is a room filled with his trophy furniture, Trophy Modern, that he actively uses. 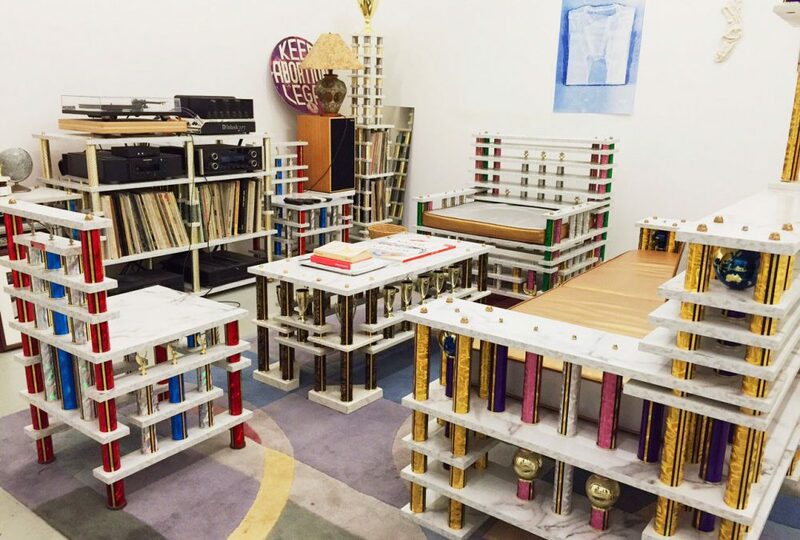 The furniture uses numerous colored american trophies that he has bought from the trophy supply superstore topped with a layer of faux marble supporting more trophies. The furniture is based on a sculpture he created from hundreds of trophies he bought from a second hand shop called “Second to None”. The sculpture creates a collage of stories, the iceskating dancer, the music prodigy, the volley-ball athlete.They put together a constellation of dreams, aspirations and memories. They carry the story of the original owner and in a way also remind me of the determination to win and our grand aspirations in life that is ingrained in American culture. 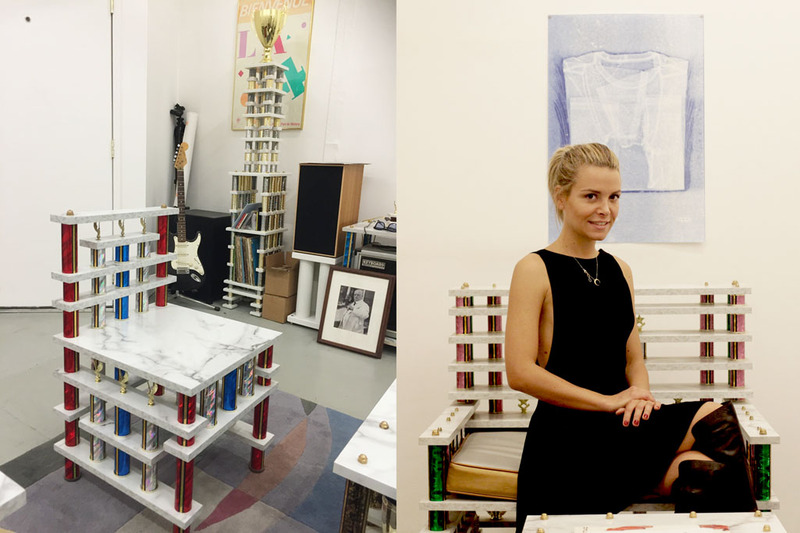 Sitting on his trophy chair, I remembered when I first saw Ry Rocken’s work. It was during Art Basel when Rocklen showcased a part of his collateral project, Night Court, produced in collaboration with Absolut. The furniture was displayed in a playing field and there were ping pong trophy tables that collectors were playing on even. There was french music, cocktails, and lots of events in the evening, but then it started to rain..which is a whole other story. A few questions to Ry. FDM: Have you ever stopped and thought about the story behind every trophy: the aspirations behind them, the life of its owner? Isn’t it mind-blowing for you to think about the weight it carries? RR: When I first came across all those old trophies in the junk shop I was attracted to them because of their psychic density. They brought to mind the pathos of Mike Kelly’s More Love Hours Than Can Ever be Paid and the Wages of Sin as they embodied the collective and cumulative efforts of the athletes who won those awards. The wealth of triumphs is absolutely overwhelming. FDM: Do you have a favorite one or some story about anyone of them in particular? RR: There is one trophy I thought was particularly troubling, it was an award for “Best Personality” in a bikini contest. I suppose I like the most lyrical trophies, like Master P’s Basketball Camp Achievement of Excellence trophy. 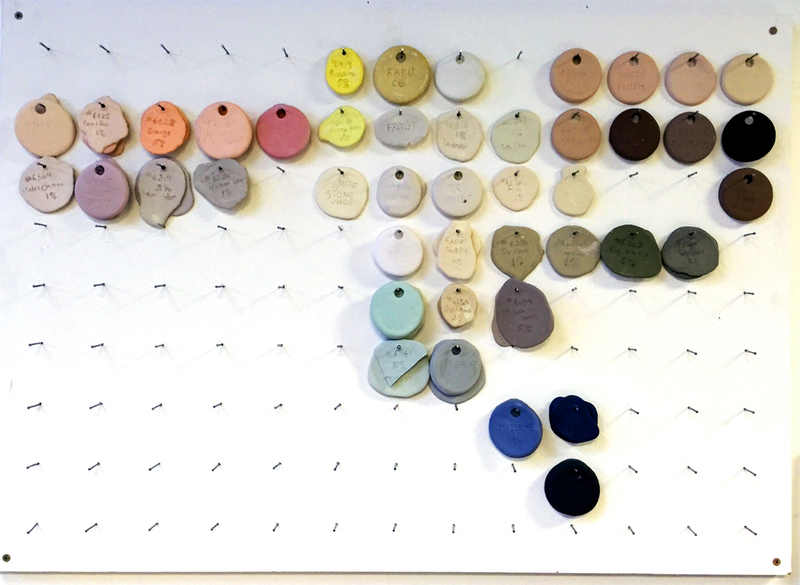 FDM: You use all kind of materials from bronze to gold to porcelain and even mosaic.What’s your drive in the research of the materials? RR: My choices of materials are based on a combination of accessibility, durability, and the materials relationship to the world. I have often used tiles to encapsulate an object. The tile coating entombs its subject as well as showing the labor put into the object. 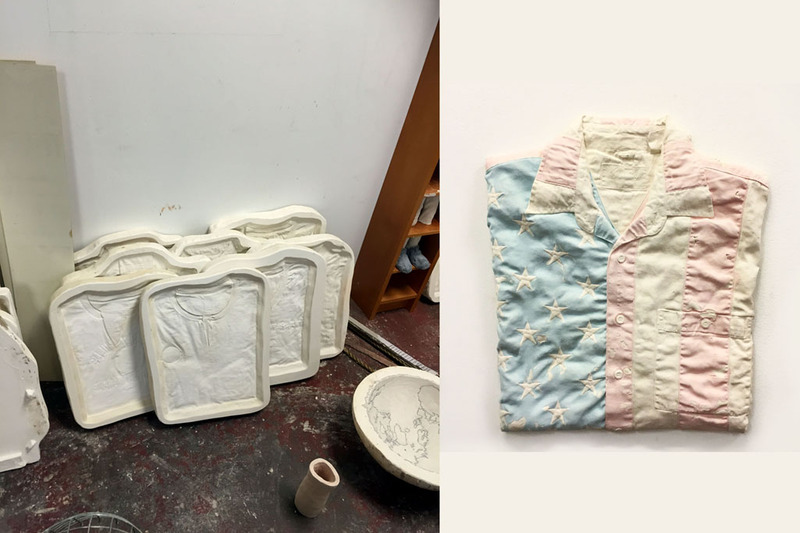 More recently I have been casting in clay, both stoneware and porcelain, recreating folded clothing in the permanence of ceramic. 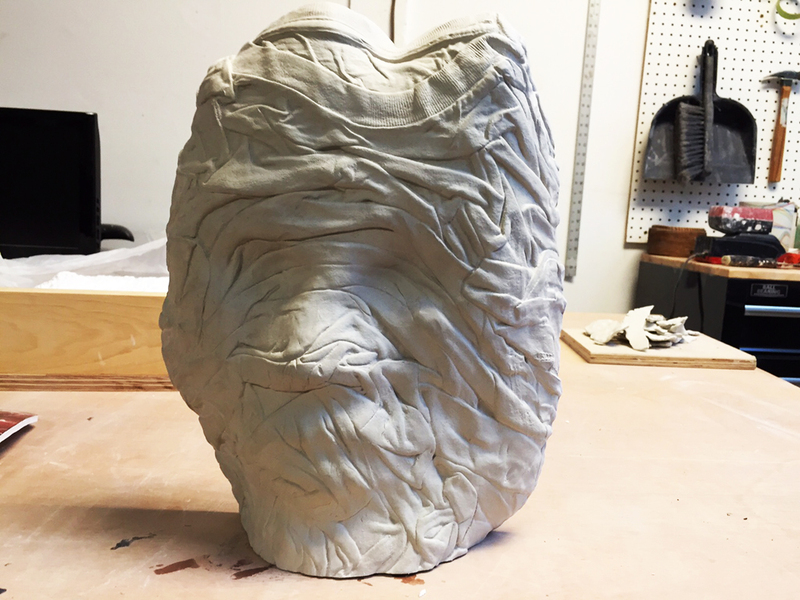 I am attracted to the versatility and durability of fired clay, and its connection to our ancient origins. FDM: What do you think about the LA contemporary art scene? Do you feel connected or in dialogue with other artists? RR: The scene is very strong, it has been gaining momentum since I can remember. FDM: the notion of dissolution and permanence is evident in your work. Were you inspired by some philosophy in particular? Where does your inspiration come from? RR: I am a believer in the little things. The in between moments we have with the world around us, day after day. The commute, the buttoning of a shirt. A belief that everything matters and that nothing is off the clock. My sculptures are a kind of celebration of the mundane. A reverent treatment of a humble and lowly materiality. FDM: What are you working on currently? 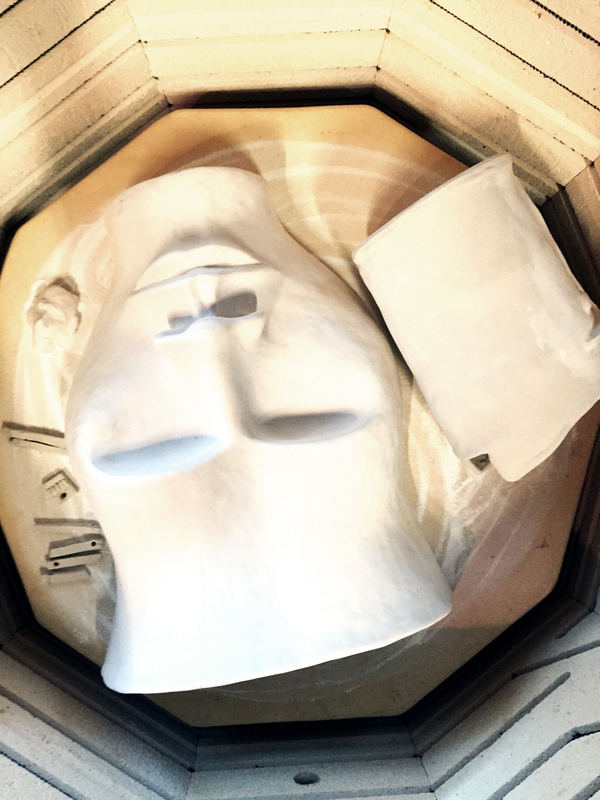 RR: At the moment I am working on a series of sculptures based on ancient antiquities from the Metropolitan Museum of Art. The antiquities will be turned into a collection of ceramic vessels. 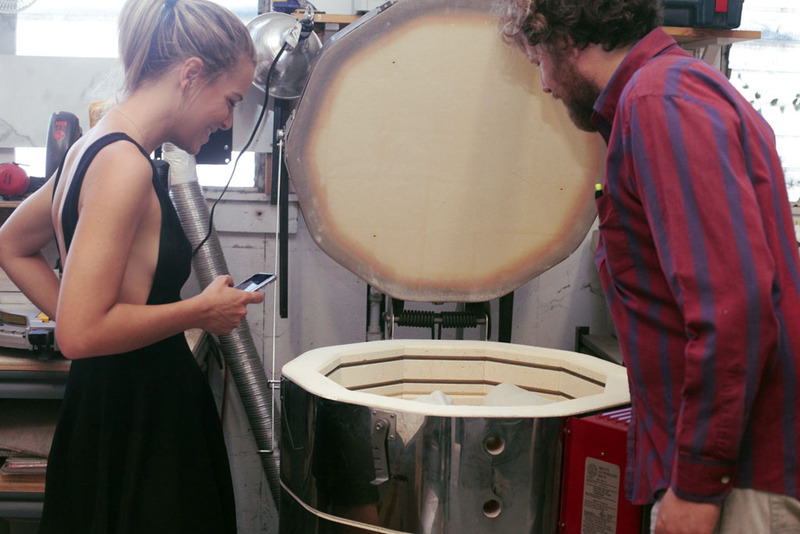 The front side of these vessels will be flat with an image of an antiquity glazed onto its surface. The backside will be a sculpted version of what is on the front. There is much room for interpretation in the reconstruction of the object on the back. Pictures courtesy of Kathryne Page, Fiammetta De Michele and Praz delavallade Gallery.